Sciblogs | Appeal to antiquity? Appeal to nature? Bingo! I was idly skimming the Herald’s website when I came across an article with the headline “Is plant medicine really that effective?” Since the article appears to be in the nature of an advertorial, the answer is, it depends on who you ask. Unlike man-made chemical drugs that have been developed as novel medicines from the 19th century onwards, plant medicines have been used in human healthcare for millennia. They share a long co-evolution with humans and are the foundation of their modern chemistry-based counterparts. But yes, many modern pharmaceutical drugs are derived from plant extracts, and pharmaocognosy is an important field of research in the search for new drugs and investigation of how traditional treatments might work. The difference being that modern pharmacology means that we can control things like dose, concentration and purity, which isn’t really possible if you’re using the entire plant prepared fresh each time. The chemotherapy drug taxol (isolated from the Pacific yew tree) is a good example, but there are many others, including: digitalis (foxgloves), salicin/salicylic acid (meadowsweet and willow bark), vinblastine (derived from the Madagascar periwinkle), and quinine (chinchona bark). For some drugs (e.g. vinblastine) yields from the actual plants are low, and the cost of obtaining the drug is high, so modern production methods make the drugs available to far more people than could ever avail themselves of the natural source. … research confirms their beneficial effects for rebalancing hormones, aiding sleep, dealing with stress, in depression or strengthening the immune system. “Rebalancing hormones” seems to be one of those ‘catch-all’ phrases – which hormones are we talking about, & why do they need “rebalancing”? How did they get out of whack in the first place? Similarly, “strengthening the immune system”: it’s a meaningless term and ignores the fact that in the great majority of people the immune system works just fine. Other than the use of vaccines, “strengthening” or “boosting” may not be such a good idea… And in some instances evidence for other uses is conflicting. Plant medicine can provide you with essential building blocks for organ health that cannot be found through diet alone, and have a cumulative effect on the body to help build or restore your physiology to the optimal levels. Sorry, what? Which ‘building blocks’ would those be? All the building blocks of life – amino acids, di- & monosaccharide sugars, fatty acids, nucleotides, vitamins & minerals – are provided in an average diet. So what are these things that diet supposedly doesn’t deliver? In fact, Western biomedicine is historically rooted in plant medicine, given that it was the main form of medicine until the establishment of the new economic order after the industrial revolution. And why did medical practices change at that point? Perhaps, because it became much easier to identify the actual active ingredients, and produce standardised doses of known concentrations and purity? Perhaps because the ability to do this meant that some drugs, at least, could become more widely available? Certainly the use of lab-made ingredients would help to protect species such as the Madagascar periwinkle, or plants such as goldenseal & ginseng, which in the US anyway have become endangered in parts of their range due to overharvesting for ‘traditional’ uses. 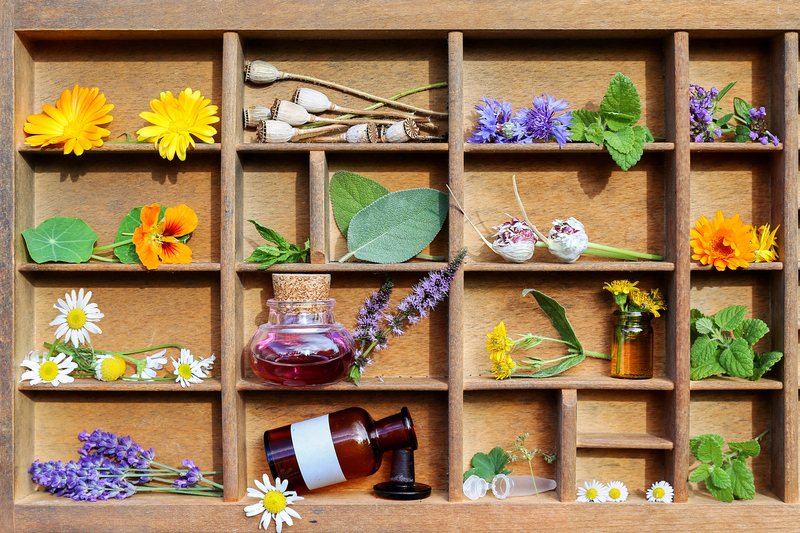 Since the mid-1980s there has been an explosion of research into complementary and alternative medicines (CAMs), driven by consumer demand for natural medicines. There have been over 40,000 studies conducted over the past three decades. This means that in addition to traditional empirical evidence, we have increasing evidence based on newer methodologiesA such as randomised controlled trials. They overwhelmingly confirm traditional medical applications of plants. Some citations would be nice. This would enable us to answer questions such as: of these 40,000 studies, how many were randomised controlled trials (RCTs)B? How many of those were properly blinded? Were they in vitro studies, carried out in petri dish or test tube, or in vivo, using animal models? Were they studies based on whole plants, or on extracts thereof? And – what were their results? Traditionally, plant medicine incorporates the whole plant and its extracts, and with this it brings a full spectrum of active constituents that work synergistically on different parts of the body’s physiological functions. There are certainly examples where different plant constituents can act in a synergistic manner. One such example, looking at antibacterial activity in extracts of the plant goldenseal, is discussed here. It identified the actual compounds, their structure, and their likely modes of actionC. (What’s not to like?) Notably, while the goldenseal article was written in 2011, evidence that the same action occurs in vivo is (as far as I could tell from a quick pubmed search) still lacking. It’s also worth pointing out – should this evidence eventuate – that a synthetic preparation of the 3 compounds would be a much more reliable source than a tisane or a poultice of the whole plant. Plant medicines will only work if they have been expertly compounded – from harvesting the plant at the right time at their peak potency, to careful processing them to preserve their active constituents and then to the correct formulation.This means to reap the many benefits of plant medicine, you must ensure you are getting them form [sic] a trusted company or registered Medical Herbalist. And thence, my comment on advertorials. A The idea of RCTs isn’t actually a modern invention. Perhaps the first such trial (albeit an imperfect one) was run by James Lind, back in 1747, in seeking a treatment for scurvy. He subsequently followed this up with a systematic review of the subject. B There are some good explanations & examples in terms of trial design at this link. Euphorbia Peplus sure as hell works on non melanoma skin cancers. Euphorb sap is caustic and will burn skin, period. It’s not selective. And I would seriously hope that anyone using it is getting a biopsy as well. To be ‘correct’ I’ll warn the pictures in the reference I cite below may be upsetting, but I’d encourage you to see what the reality looks like. It’s not the clean & sweet “sure as hell works” as advertising might make out! If you read carefully you’ll see it failed two (residual tumor; deep recurrence requiring extensive surgery), left one badly scarred. The last patient was lost to follow-on; it may have badly affected them, too.